Portland is oft referred to as a ‘hipster’ city, based on their perceived affinity for craft beer and plaid shirts (amongst other things), thus, to have a football club that would flourish under such conditions means acknowledging that these would be the people attending the games, the lynchpin of any club. 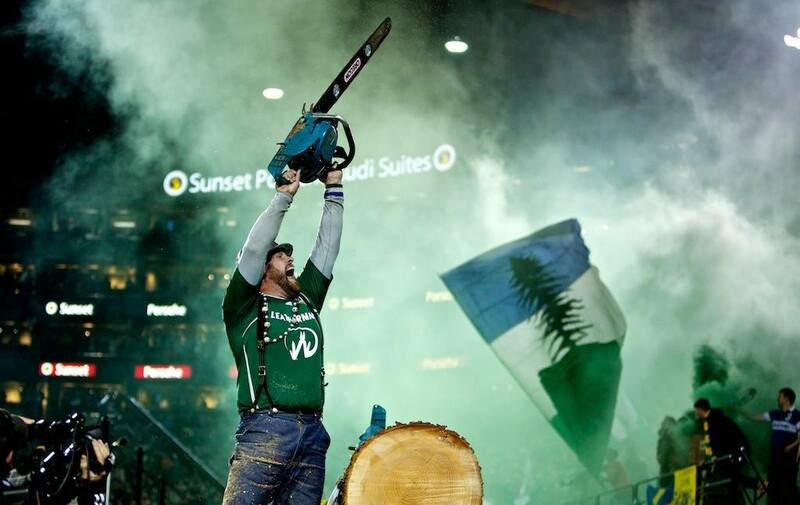 Now, it might just be coincidence that they sell barbequed tofu and chocolate covered bacon at their Providence Park home ground, or celebrate their goals with a lumberjack coming onto the pitch to cut off a slice of a felled tree (planting a new one to offset environmental damage of course), or it might be something else. Maybe it isn’t a coincidence and all of these things are there by design, straight from the whiteboard’s of people that talk about ‘target audience’, ‘authentic experiences’ and ‘customer journeys’. The story of Portland Timbers is unique – a football club designed to succeed, only to take on a life of its own and become an entirely different beast. To fully understand a club, you must look at it within the context of its nationality first. That means football clubs coming from North America are looked at slightly cynically, as I will at times here. Conversations in Europe pertaining to football in the States range in topic from a benign too-and-fro about the name ‘soccer’ all the way to their league’s penchant for signing Europe’s oldies or the cringe-worthy chants that are perfect YouTube fodder. The talk of the league is rarely overwhelmingly optimistic. The largest and most well-known teams from the United State’s Major League Soccer are probably L.A. Galaxy and New York City Football Club, partly lending their stature from the city’s that they represent – although the large name players heading for a career-twilight gold-rush hasn’t harmed their overseas exposure. These two cities are, like with their teams from the other more popular American sports, powerhouses. This doesn’t really extend to football though, that mantle goes to the Pacific North West region of the country, home to the Portland Timbers and Seattle Sounders (and Vancouver Whitecaps over the border in Canada) and an intense match-day experience that puts their ties head-and-shoulders above any other in the U.S. sporting calendar. Although none of those three teams could be considered the best the MLS has to offer, they are certainly the teams that can boast to possessing the best atmosphere in the MLS. 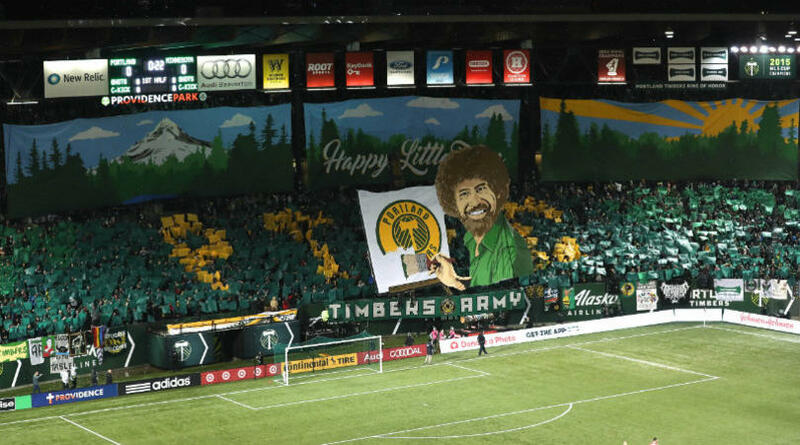 This is especially true for the Portland Timbers, a team with choreographed tifo displays that could rival anywhere else in the world, with subjects ranging from Freddy Krueger to Bob Ross and easily one of the most meaningful fan-bases in the sport. This is really no surprise though; the club is exactly what the city craved. Portland is in Oregon, a green state, both in landscape and politics. It’s also heavily wooded, a former industrial powerhouse dominated by their timber trade. Sadly now it has become greatly diminished, but the hard-working mentality is distilled into the people. The loss of Oregon and Portland’s industrial clout has created a vacuum that yearns for meaning. This has resulted in Portland having an innate fascination for experiences; particularly those that harken back to better times. These experiences must always be authentic, or at least seen to be. Serviced by only one other sporting franchise, the Portland Blazers basketball team, the city needed another. The Portland Timbers came to be in 1975, in the North American Soccer League. It was heady times for football in America, where great names such as Pelé and Franz Beckenbauer played for the iconic New York Cosmos. It was a glamorous time, but also short-lived. After a few years, that incarnation folded and was replaced by the second generation Timbers (1985-1990) and then a third team to take the name in 2001. These teams played in America’s lower tiers before eventually becoming the current Portland Timbers in 2010 when they joined the MLS. This phoenix club had always been noted for its fans, but now armed with a new committed back and a large stadium to fill, the club had to make a statement of intent from the start. This was a process that was initiated off the pitch, in the meeting rooms and office space of an advertising agency. Club owner Meritt Paulson wanted to tap into the feeling of Portland, with their inclination towards evocative displays of culture. 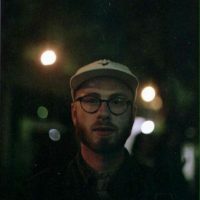 The Timbers Army fanbase was already there from the previous manifestation of the club, but he wanted to galvanise more people from the city, he wanted the club to become a Portlandian institution. Paulson approached local boy and creative powerhouse Jelly Helm, who had previously worked on football campaigns with Nike, to create an unconventional marketing campaign to arouse the curiosity and evoke the passions of their townspeople. 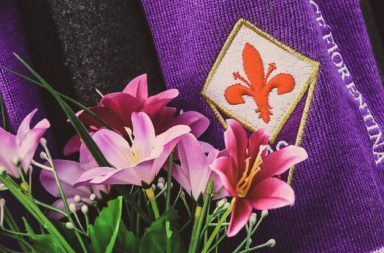 In a city with the unofficial slogan ‘Keep Portland Weird’ and their instinctive proclivity for adventure, it wasn’t surprising that the club opted for subtle marketing – empowering the people to discover things for themselves. The power of mystery is never to be underestimated and the campaign to sell season tickets and get people interested in the club did exactly that. 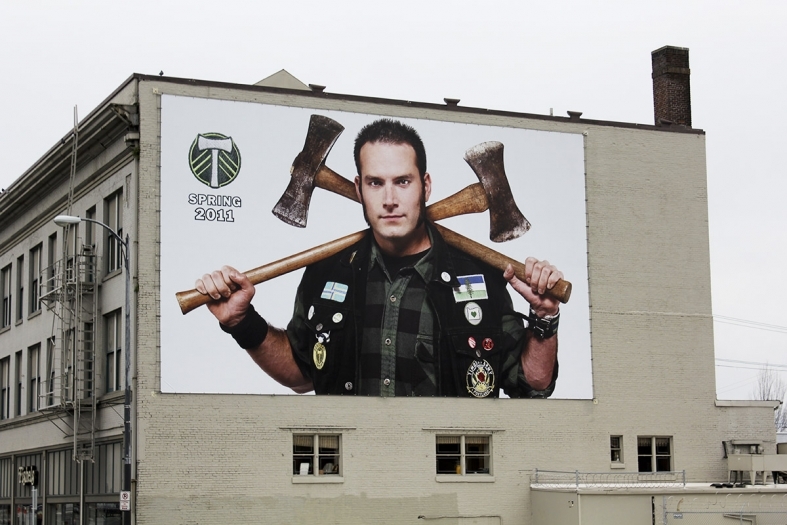 Using billboards with little to no branding, instead relying on their ubiquity and the people’s inquisitiveness to do the work, the city of Portland was ready for football once again – this time in the big league. Their inaugural MLS season’s allotment of season tickets sold out before the first whistle was blown. Football, and the Portland Timbers, have a history in America, but not one that runs as deep as many of their European counterparts. 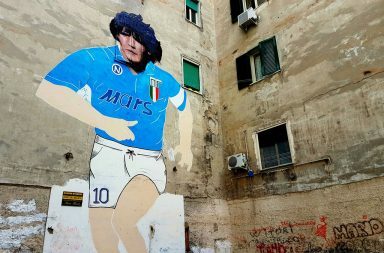 To fill this void of footballing history, fans very quickly create a community-driven spirit and atmosphere that year-on-years contributes to the sport and club’s charisma in and out of the country, as well as inspiring an aura of folkish mythology. Although their fan-culture was initially induced by marketeers and ad men, it has long since morphed into an unrecognisable new life-form. A lot of ultras groups are reactions against something, but theirs is a reaction to something – a well-strategised stimuli. Needless to say, they’ve come along way from Jelly Helm’s early billboards though. Despite this growth, their existence in the league is still offensive to many. They are the U.S.A’s most divisive football club, but also their most admired. Slandered as ‘Europhiles’ by their rivals in Seattle, their match-day presence is something to behold. A forest of green, with flecks of yellow throughout, chant and bounce in unison for 90-minutes, every single game. There’s no doubt that the atmosphere can get intense, but it is very family-friendly, it lacks the bite of other leagues. Their songs, mainly adaptations of English Premier League ones, can often come across as naïve, rather than genuine displays of pride and passion, at least to fans of the European game. The supporters are extremely community driven, using fundraising events to help community causes from the Portland area. In a particularly touching case, the original Lumberjack mascot of the club Timber Jim, a man who would cut off a slab of tree to present to goal-scorers as part of a post-match ritual, unfortunately, lost his 17-year-old daughter Hannah in a car accident around 10 years ago. As a tribute to her, holding Hannah’s baby daughter in his arms, he sang aloud a heartfelt rendition of ‘You Are My Sunshine’ – to which the crowd joined in. From then on, at every match on the 80th minute, the whole crowd sing that song, to show their respect for Jim and his loss, but also to show that a loss for one is a loss for all. Portland is ‘Soccer City U.S.A’, a title that an early manager claimed and the quote-hungry media made stick. They prove week in-week out that this is true, through their incredible displays of loyalty to club and community, they relinquish the challenge of someone coming along to take their title, that safe in the knowledge that no one will. 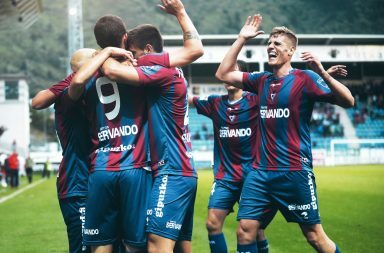 The club has dedicated supporters groups all over the country and world, with entertaining names like Florida’s ‘Sunshine Squadron’, Arizona’s ‘Desert Corps’ and for those around the world that don’t have a local group there’s the ‘Global Patrol’ – if you want to be a Timber, then that’s enough to be one. Although not every Timber is from Portland, everyone from Portland seems to be a Timber. They’re a staple establishment in the city, a group that offers the people something to get behind, that regardless of any other differences, one name and one badge unites them – they are a symbol of citywide unity with a culture that has come so far from its initial Eurocentric and marketing-led methodology that they should now be considered as a benchmark to which some European teams will aspire to. Badge of the Week: Tranmere Rovers F.C.